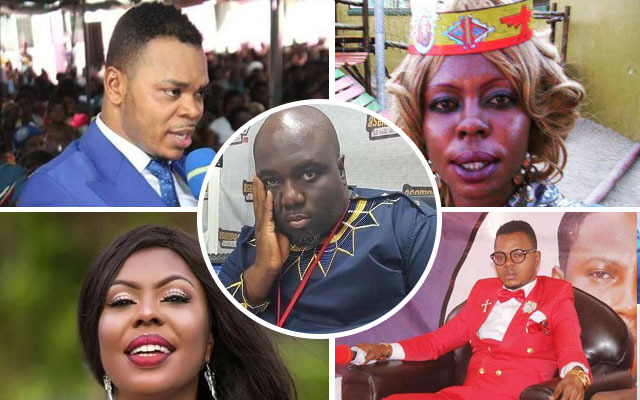 Comedienne Afia Schwarzenegger has laid down a challenge to all preachers in Ghana who claim ability to resurrect the dead to bring KABA back to life. In a video uploaded to her social media pages, Afia said the preachers who carry out miraculous acts in their churches including resurrecting dead bodies, should prove their powers to all Ghanaians by bringing the dead journalist back to life. Afia, in the video, called out Obinim and other pastors like him to resurrect the Asempa Fm presenter and prove their ‘powers’ to the entire country. She also said that no pastor should come out to claim he prophesied the death of the ‘Ekosii Sen’ host, although that has already happened at least twice that we’re aware of.